Singapore, 25th July 2018 – Discovery, Inc. has appointed Anna Pak Burdin as General Manager, Southeast Asia, following the integration of the Discovery and Scripps legacy businesses. Pak Burdin will be responsible for driving the growth of Discovery’s business across the region and expanding its product offering with a particular focus on developing digital opportunities to target Southeast Asia’s growing population of digitally active consumers. Pak Burdin will be based in Singapore, reporting into JB Perrette, President & CEO Discovery Networks International. Pak Burdin is a veteran of Discovery, where she held several senior roles including running the company’s business across Eastern Europe including Russia, the Baltics, Ukraine, and Central Asia. She joins most recently from National Media Group, the largest media company in Russia and a partner of Discovery’s, where she was responsible for managing its pay TV distribution portfolio including Discovery, Sony, Turner and Viasat. She was also a senior executive at Eurosport, bringing with her very relevant experience in the sports business, and has held senior roles at KidsCo TV and EuroNews. Pak Burdin replaces Shavkat Berdiev who has decided to leave Singapore to pursue an opportunity in the Middle East. Pak Burdin will take up her new role next month. Hong Kong, July 18 2018 — Chinese cable operators showed significantly more fiber deployments than their global counterparts, a development attributable to expanding bandwidth usage in the region. 20% of Chinese cable operators will pass at least 41% of their residential subscribers with fiber-to-the-home (FTTH) by 2019, compared to just 4% of China’s global counterparts, according to results from a survey launched by Kagan, a media research group within S&P Global Market Intelligence. “Cable operators in China are becoming more aggressive in rolling out FTTH deployments in order to keep pace with the massive FTTH rollouts of other Chinese telecom operators” said Jeff Heynen, Research Director for Kagan at S&P Global Market Intelligence. Traditionally dependent on Hybrid Fiber-Coax (HFC) and Data over Cable Service Interface Specification (DOCSIS) as their primary broadband technologies, cable operators are trying to redesign network architectures and push forward for more efficient access networks. Kagan analysis indicates cable operators, particularly in North America, are transitioning toward distributed access architectures, or DAAs, and are expected to ramp in 2019 and beyond. This research is derived from Kagan’s new proprietary B2B survey program providing in-depth analysis on high-value emerging technologies, such as advanced video advertising, Internet of Things (IoT) and smart homes, virtual and augmented reality and 5G infrastructures and services. The survey, which is the first of the group’s latest research initiatives, is based on feedback received from 57 cable operators representing all major markets worldwide and 107 million broadband subscribers.“ Results from our survey show Chinese cable operators are still concerned about the capabilities of their outside plant, as their networks were originally designed to deliver analog and digital video services and need significant upgrades to support competitive broadband speeds,” Heynen added. C-DOCSIS, part of the overarching DOCSIS 3.1 specification, has emerged as the leading technology for Chinese cable operators as they expand their DOCSIS 3.1 availability alongside their growing FTTH deployments. 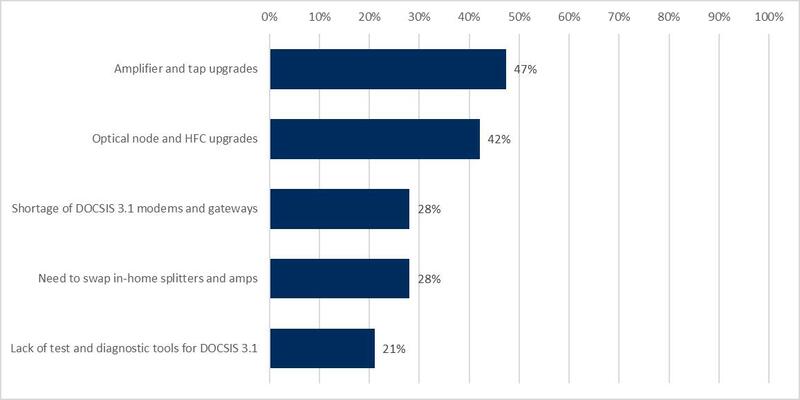 However, 80% of Chinese respondents consider upgrading optical nodes and HFC plants as the most significant technology barriers to rolling out DOCSIS 3.1. 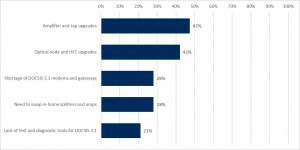 Amplifier and tap upgrades, as well as a shortage of DOCSIS 3.1 modems and gateways were ranked as the next significant barriers by 60% of Chinese respondents, respectively. Intelsat S.A. (NYSE: I), operator of the world’s first Globalized Network and leader in integrated satellite solutions, announced that it has joined the Seamless Air Alliance, a [consortium] dedicated to the development and promotion of standards to facilitate a better, more seamless, inflight connectivity experience for passengers. SINGAPORE (July 16, 2018) – Sony Pictures Television Networks (SPTN), in partnership with the United Nations Foundation, today announced that Singaporean filmmaker Wally Tham, and Malaysian filmmaker Mark Lee are the Asia finalists of the Picture This Festival for the Planet (www.sonypicturethis.com), a worldwide short-film competition for filmmakers to showcase the positive future they see for our planet. Tham’s short film, Sayang Kalimantan, is a compelling insight into the 2015 forest fires that devastated Kalimantan in Indonesia. Tham and his team spent two years in Kalimantan designing and building Indonesia’s first functioning haze shelter, while documenting the arduous journey that the local residents experienced. Luxembourg and Paris, 12 July 2018 – Leading global satellite operators Intelsat S.A. (NYSE: I), SES (Euronext Paris: SESG) and Eutelsat (Euronext Paris: ETL) announced today that they are aligned on a market-based proposal for the future use of the lower C-band spectrum in the U.S. Eutelsat has agreed to join the breakthrough proposal initiated by Intelsat, Intel and SES. Founded in 1977, Eutelsat Communications is one of the world’s leading satellite operators. With a global fleet of satellites and associated ground infrastructure, Eutelsat enables clients across Video, Data, Government, Fixed and Mobile Broadband markets to communicate effectively to their customers, irrespective of their location. Over 6,800 television channels operated by leading media groups are broadcast by Eutelsat to one billion viewers equipped for DTH reception or connected to terrestrial networks. Headquartered in Paris, with offices and teleports around the globe, Eutelsat assembles 1,000 men and women from 46 countries who are dedicated to delivering the highest quality of service. 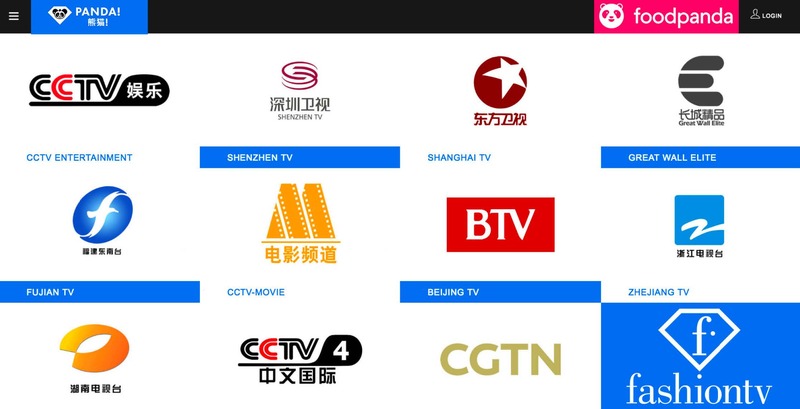 Fashiontv has launched PandaTv its new OTT hotel application featuring 11 Chinese national channels, 12 fashiontv channels and localized lifestyle, dining and shopping channels. It will be installed on Smart Tvs in hotels around the world, including FTV in Ultra HD Channel (4K). The delivery of these channels will be done by ZIXI and CDN in cooperation with Telia. Over 200 million Chinese tourists travel to all corners of the world. This trend is increasing by +20% annually. When Chinese tourists are in the hotel they like to be connected to China by watching favorite tv channels and feel like at home. 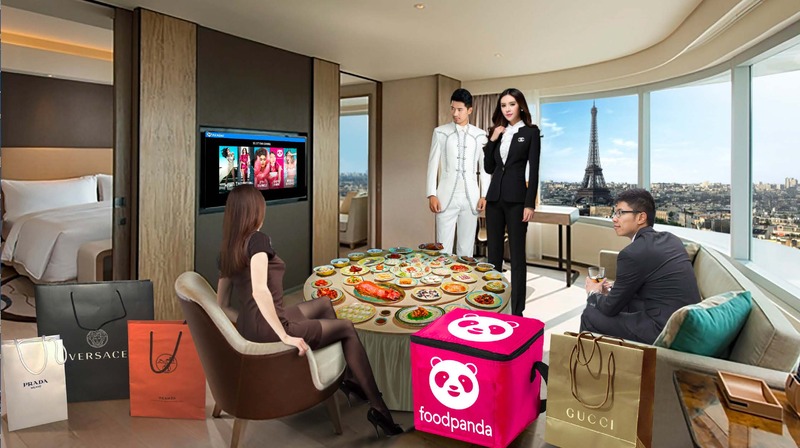 In addition tourists are encouraged to make a small dinner party in the hotel, order food via PandaTv recommended service and enjoy the PandaTv Chinese tv experience. 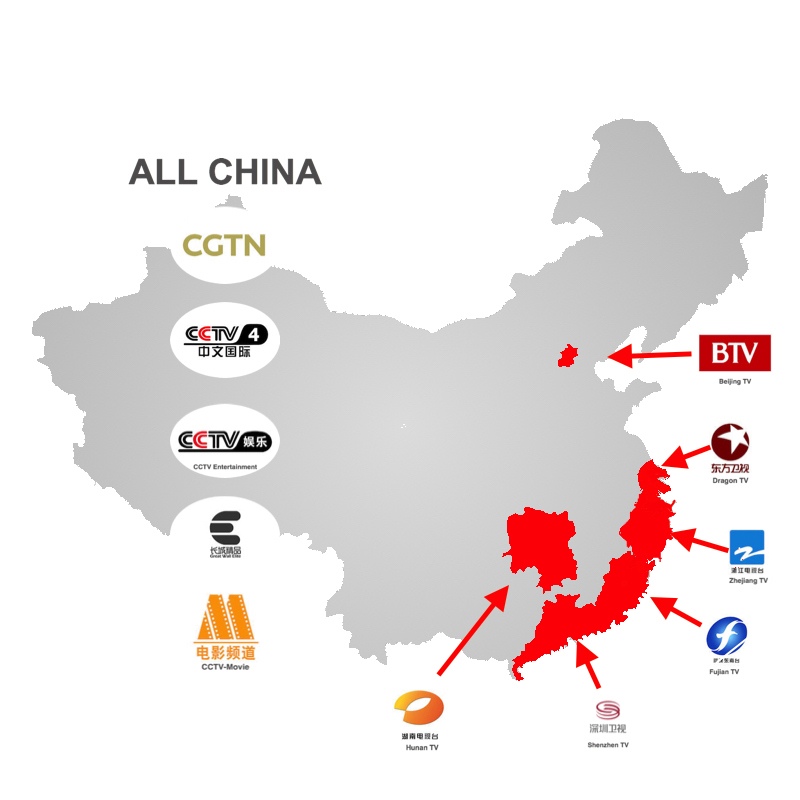 The Chinese channels are delivered in cooperation with long term agreement and the technology mutually developed between Apstar and fashiontv for CDN, IP ZIXI and Apstar satellite services. This new approach facilitates 360° delivery of the signal to PayTV, IP TV and OTT platforms around the world. The Chinese channels originate from the coastal areas where most of the tourists come from. PandaTv package includes Chinese channels such as CGTN, CCTV-4, CCTV Entertainment, CCTV-Movie, GWTV-Elite and leading tv versions of provincial channels: Hunan Tv, Shanghai Dragon Tv, Beijing TV, Shenzhen TV, Zhejiang TV, Fujian TV. PandaTv will feature additionally major international channels, fashiontv OTT application with 12 channels, lifestyle, music, destinations, dining and shopping channels. Fashiontv networks are available on over 500 million PayTv, 500 million SmartTv and 1.5 billion smartphones over 4 billion internet users and Facebook, Instagram, Twitter, Telegram, YouTube, VK, Google+ etc. See: ftvott.com/pandatv and ftv.com and ftv+ available as an app. Fashiontv launched FTV Coin Deluxe – cryptocurrency for the fashion community. FTV Coin will be used as utility token to buy variety of services and products related to FTV and the fashion industry in general. FTV launched broadcasting in 1997. Over night FTV became to fashion similar as MTV to music and CNN to news. Today FTV is a global network of over 20 channels available all over the world to 500 mln Pay Tv, 500 mln Smart Tvs, 1.5 bln smartphones, 4 bln internet users and +50 satellites. Hong Kong, 4 July 2018 – Asia Satellite Telecommunications Company Limited (AsiaSat) announced today an expansion of services for Sports Star International Private Limited (Sports Star) of Pakistan on AsiaSat 7, to deliver an HD news channel ‘Public News’ across the Asia-Pacific. Sports Star currently transmits entertainment channel ‘A-Plus’ as well as Pakistan’s first women’s channel ‘A-Lite’ on AsiaSat 7, targeting different audience segments locally and across the Asia Pacific. Public News is Sports Star’s latest HD service to bring daily news bulletins to viewers by leveraging the power of AsiaSat 7 and its excellent penetration, already enjoyed by the two current channels. AsiaSat will also offer Ku-band capacity on AsiaSat 7 for Public News’ SNG services in news gathering and contribution. AsiaSat has been serving Pakistan since 1991, which is hosting one of Asia’s widest range of Urdu language programming, from news, entertainment, music, to movies, cartoons and dramas. for Pakistan Television (PTV) and other private channels. entertainment channel by the name of A-Plus Entertainment for cable and satellite viewers. Singapore – July 2, 2018 – NBCUniversal International Networks (NBCUIN) and Mono Group today announced the launch of a new DreamWorks branded block, on one of the nation’s leading digital free-to-air network, Mono29. DreamWorks – the 24-hour channel dedicated to kids and family entertainment – launched the dedicated block today which will feature the latest shows in English and dubbed in local language. Viewers will be able to enjoy their favourite DreamWorks titles during the early evening on weekdays from 5:30 pm on Mono29. With Mono29’s strong line-up of blockbuster movies, viewers will be delighted to now see their favourite DreamWorks characters starring in their own TV series on the channel. In its initial line-up viewers can expect to catch DreamWorks’ signature series Dragons: Race to the Edge, from the critically acclaimed How to Train Your Dragon franchise, Emmy® award-winning original series Trollhunters: Tales of Arcadia from acclaimed filmmaker Guillermo del Toro and All Hail King Julien from the Madagascar franchise with many more to follow. NBCUniversal International Networks is one of the world’s premier entertainment portfolios, delivering quality content and compelling brands to over 165 territories across Europe, the Middle East, Africa, Latin America and Asia Pacific. The channel brands in the portfolio include UNIVERSAL TV, SYFY, E! Entertainment Television, 13TH STREET, DIVA, Studio Universal, Telemundo, Bravo, DreamWorks and Golf Channel. These unique brands deliver a full range of entertainment experiences to local audiences across the globe; the portfolio also includes Movies 24 in the UK and The Style Network in Australia. Further, NBCUniversal News Group, one of the most influential and respected portfolios of on-air and digital news properties in the world, operate CNBC and NBC News internationally. DreamWorks, the 24-hour, HD, kids and family network brings DreamWorks’ beloved movie heroes to the small screen to star in their own TV shows. The channel features Emmy® award-winning, original television series such as Dragons: Race to the Edge and The Adventures of Puss in Boots and the critically acclaimed Trollhunters: Tales of Arcadia. The channel also presents a daily morning preschool block, DreamWorks Junior, for 2-5 year olds featuring favourites such as Noddy Toyland Detective and Raa Raa the Noisy Lion. DreamWorks is currently available in eight languages across nine countries in Asia including two branded blocks. Visit dreamworks-asia.com and DreamWorks Asia on Facebook for more information. Mono Group is the top Media and Content Conglomerate in Thailand who offers Rich Contents which have continually been developed and made a pleasing progress. The success of our digital TV business in the past 3 years has derived from the world-class quality contents which are fresh and accessible via all groups of audience. Mono29 is one of Thailand’s leading DTT channel, showcasing blockbuster movies and premium TV series. Mono29 offers premium TV programs for non-stop entertainment, broadcasting first runs and exclusive content from top Hollywood studios. Audiences can also enjoy watching Mono29 in dual languages via TV, website and mobile application. With Mono Group’s strategy, Mono29 has made excellent business growth and been able to stay at the top level in the rating of the most popular TV channels.